Mattson MP. Hormesis defined. 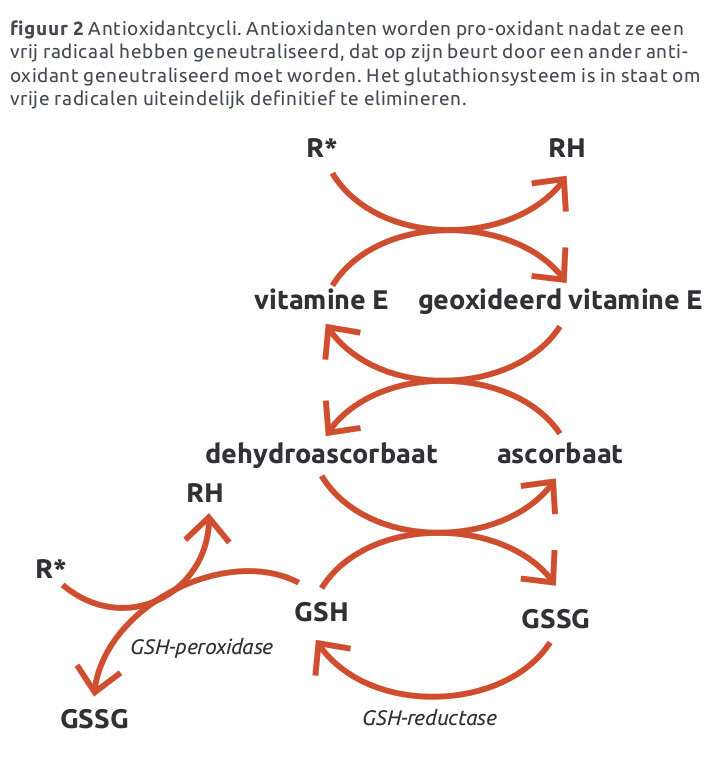 Ageing Res Rev 2008; 7(1):1-7.
van der Woude H, Alink GM, Rietjens IM. The definition of hormesis and its implications for in vitro to in vivo extrapolation and risk assessment. Crit Rev Toxicol. 2005 Jul;35(6):603-7. Ji LL et al.Exercise and hormesis:activation of cellular antioxidant signaling pathway. Ann NY Acad Sci 2006; 1076:425-35. Mattson MP. Dietary factors, Hormesis and Health. Ageing Res Rev 2008; 7(1):43-48. Son TG, Camandola S, Mattson MP. Hormetic dietary phytochemicals. Neuromolecular Med. 2008;10(4):236-46. Gupta C, Prakash D. Phytonutrients as therapeutic agents. J Complement Integr Med. 2014 Jul 22. 2013-0021. Mattson MP, Cheng A. Neurohormetic phytochemicals: Low-dose toxins that induce adaptive neuronal stress responses. Trends Neurosci. 2006 Nov;29(11):632-9. Surh YJ. Xenohormesis mechanisms underlying chemopreventive effects of some dietary phytochemicals. Ann N Y Acad Sci. 2011 Jul;1229:1-6. Mattson MP. Hormesis and disease resistance: activation of cellular stress response pathways. Hum Exp Toxicol. 2008 Feb;27(2):155-62. Surh YJ, Kundu JK, Na HK. Nrf2 as a master redox switch in turning on the cellular signaling involved in the induction of cytoprotective genes by some chemopreventive phytochemicals. Planta Med. 2008 Oct;74(13):1526-39. Zhang YC, Gan FF, Shelar SB, Chew EH. Antioxidant and Nrf2 inducing activities of luteolin, a flavonoid constituent in Ixeris sonchifolia Hance, provide neuroprotective effects against ischemia-induced cellular injury. Food Chem Toxicol. 2013 Jun 13. pii: S0278-6915(13)00364-5. Forman JH, Ursini F. Para-hormesis: An innovative mechanism for the health protectionbrought by antioxidants in wine. Nutr&Aging 2014; 2:117-124. Sies H et al. Nutritional, dietary and postprandial stress. J Nutr 2005; 135:969-72. Speciale A, Chirafisi J, Saija A, Cimino F. Nutritional antioxidants and adaptive cell responses: an update. Curr Mol Med. 2011 Dec;11(9):770-89. Satoh T et al. Nrf2/ARE-mediated antioxidant actions of pro-electrophilic drugs. Free Radic Biol Med 2013; 65C:645-57. Baird L et al. The cytoprotective role of the Nrf2-Keap1 pathway. Arch Toxicol 2011; 85:241-72. Itoh K et al. 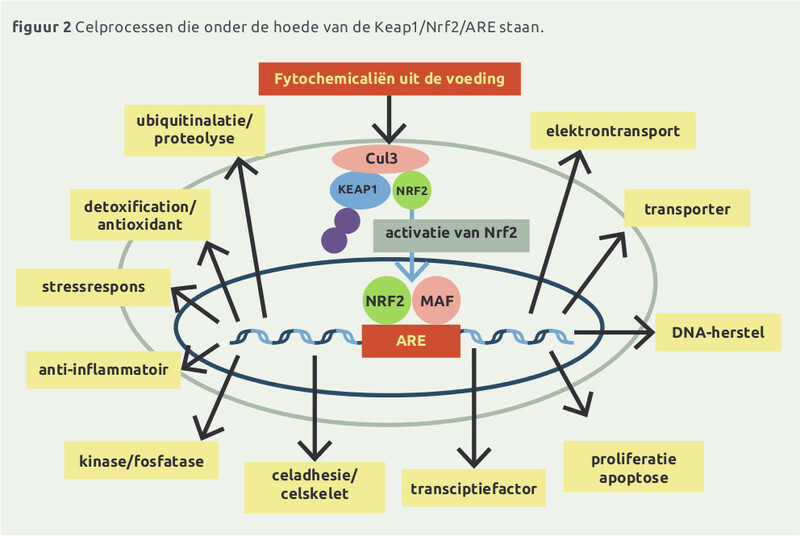 Molecular mechanism activating Nrf2-Keap1 pathway in regulation of adaptive response to electrophiles. Free Radic Biol Med 2004; 36:1208-13. BirringerM. Hormetics: dietary triggers of an adaptive stress response. Pharm Res 2011;28:2680-94. Forman et al. How do nutritional antioxidants really work: nucleophylic tone and para - hormesis versus free radical scavenging in vivo. Free rad Biol & med 2013; S0891-5849(13)00273-6. Brannon BL, Tollefsbol TO. Polyphenols and ageing. Curr Aging Sci 2010; 3:34-42. Scapagnini G et al. Modulation of the Keap1/Nrf2/ARE-pathway by food polyphenols: a nutritional strategy for cognition and degenerative disordrs. Mol Neurobiol 2011; 44:192-201. Xie Y, Chen X. Structures Required of Polyphenols for Inhibiting Advanced Glycation end Products Formation. Curr Drug Metab. 2013 May 1;14(4):414-31. Lee HH, Park SA, Almazari I, Kim EH, Na HK, Surh YJ. Piceatannol induces heme oxygenase-1 expression in human mammary epithelial cells through activation of ARE-driven Nrf2 signaling. Arch Biochem Biophys. 2010 Sep 1;501(1):142-50. Robb EL, Stuart JA. The stilbenes resveratrol, pterostilbene and piceid affect growth and stress resistance in mammalian cells via a mechanism requiring estrogen receptor beta and the induction of Mn-superoxide dismutase. Phytochemistry. 2013 S0031-9422(13)00454-8. Robb EL, Stuart JA. Resveratrol interacts with estrogen receptor-β to inhibit cell replicative growth and enhance stress resistance by upregulating mitochondrial superoxide dismutase. Free Radic Biol Med. 2011 Apr 1;50(7):821-31. Mattson MP, Son TG, Camandola S. Viewpoint: mechanisms of action and therapeutic potential of neurohormetic phytochemicals. Dose-Response 2007; 5:174-186. Kendig et al. Defining hormesis: evaluation of a complex concentration response phenomenon. Int J Toxicol 2010; 29:235-46. Kelsey NA, Wilkins HM, Linseman DA. Nutraceutical antioxidants as novel neuroprotective agents. Molecules. 2010 Nov 3;15(11):7792-814. Jazwa A, Cuadrado A. Targeting heme oxygenase-1 for neuroprotection and neuroinflammation in neurodegenerative diseases. Curr Drug Targets. 2010 Dec;11(12):1517-31. Andreadi CK, Howells LM, Atherfold PA, Manson MM. Involvement of Nrf2, p38, B-Raf, and nuclear factor-kappaB, but not phosphatidylinositol 3-kinase, in induction of hemeoxygenase-1 by dietary polyphenols. Mol Pharmacol. 2006 Mar;69(3):1033-40. Levites, Y, Amit, T, Youdim, MB, Mandel, S. Involvement of protein kinase C activation and cell survival/ cell cycle genes in green tea polyphenol (-)-epigallocatechin 3-gallate neuroprotective action. J. Biol. Chem. 2002, 277, 30574-30580. Han, YS, Zheng, WH, Bastianetto, S, Chabot, JG, Quirion, R. Neuroprotective effects of resveratrol against beta-amyloid-induced neurotoxicity in rat hippocampal neurons: involvement of protein kinase C. Br. J. Pharmacol. 2004, 141, 997-1005. Levites, Y.; Amit, T.; Mandel, S.; Youdim, M.B. Neuroprotection and neurorescue against Abeta toxicity and PKC-dependent release of nonamyloidogenic soluble precursor protein by green tea polyphenol (-)-epigallocatechin-3-gallate. FASEB J. 2003, 17, 952-954. Reznichenko, L.; Amit, T.; Youdim, M.B. ; Mandel, S. Green tea polyphenol (-)-epigallocatechin-3-gallate induces neurorescue of long-term serum-deprived PC12 cells and promotes neurite outgrowth. J. Neurochem. 2005, 93, 1157-1167. Kalfon, L.; Youdim, M.B. ; Mandel, S.A. Green tea polyphenol (-)-epigallocatechin-3-gallate promotes the rapid protein kinase C- and proteasome-mediated degradation of Bad: implications for neuroprotection. J. Neurochem. 2007, 100, 992-1002. Choi, D.S. ; Wang, D.; Yu, G.Q. ; Zhu, G.; Kharazia, V.N. ; Paredes, J.P.; Chang, W.S. ; Deitchman, J.K.; Mucke, L.; Messing, R.O. PKCepsilon increases endothelin converting enzyme activity and reduces amyloid plaque pathology in transgenic mice. Proc. Natl. Acad. Sci. USA 2006, 103, 8215-8220. Spencer, JP. Flavonoids: modulators of brain function? Br. J. Nutr. 2008, 99 E Suppl 1, ES60-ES77. Fukui, M, Choi, HJ, Zhu, BT. Mechanism for the protective effect of resveratrol against oxidative stress-induced neuronal death. Free Radic. Biol. Med. 2010, 49, 800-813. Peng, PH et al. Effects of epigallocatechin-3-gallate on rat retinal ganglion cells after optic nerve axotomy. Exp. Eye Res. 2010, 90, 528-534. Ciani, E, Guidi, S, Bartesaghi, R, Contestabile A. Nitric oxide regulates cGMP-dependent cAMP-responsive element binding protein phosphorylation and Bcl-2 expression in cerebellar neurons: implication for a survival role of nitric oxide. J. Neurochem. 2002, 82, 1282-1289. Barneda-Zahonero B et al. Bone morphogenetic protein-6 promotes cerebellar granule neurons survival by activation of the MEK/ERK/CREB pathway. Mol. Biol. Cell 2009, 20, 5051-5063. Li, Q et al. Long-term green tea catechin administration prevents spatial learning and memory impairment in senescenceaccelerated mouse prone-8 mice by decreasing Abeta1-42 oligomers and upregulating synaptic plasticity-related proteins in the hippocampus. Neuroscience 2009, 163, 741-749. Ringman, JM et al. A potential role of the curry spice curcumin in Alzheimer's disease. Curr. Alzheimer. Res. 2005, 2, 131-136. Scapagnini G, Vasto S, Abraham NG, Caruso C, Zella D, Fabio G. Modulation of Nrf2/ARE pathway by food polyphenols: a nutritional neuroprotective strategy for cognitive and neurodegenerative disorders. Mol Neurobiol. 2011 Oct;44(2):192-201. Calabrese V et al. Cellular stress response: a novel target for chemoprevention and nutritional neuroprotection in aging, neurodegenerative disorders an longevity. Neurochem Res 2008; 33:2444-71. Surth YJ. Xenohormesis mechanisms underlying chemopreventive effects of some dietary fytochemicals. Ann NY acad Sc 2011;1229:1-6. Hayes JD, McMahon M, Chowdhry S, Dinkova-Kostova AT. Cancer chemoprevention mechanisms mediated through the Keap1-Nrf2 pathway. Antioxid Redox Signal. 2010 Dec 1;13(11):1713-48. Lee JH et al. Dietary phytochemicals and cancer prevention: Nrf2 signaling, epigenetics, and cell death mechanisms in blocking cancer initiation and progression. Pharmacol Ther 2013; 137(2):153-171. Su Z-Y et al. A perspective on Dietary Phytochemicals and Cancer Chemoprevention: Oxidative Stress, Nrf2, and Epigenomics. Top Curr Chem 2013; 329:133-162. Vargas AJ, Burd R. Hormesis and synergy: pathways and mechanisms of quercetin in cancer prevention and management. Nutr Rev. 2010 Jul;68(7):418-28. Liu RH. Potential synergy of Phytochemicals in Cancer Prevention: Mechanism of action. J Nutr 2004; 3479S-3485S. Son TG, Camandola S, MP. Hormetic Dietary Phytochemicals. Neuromolecular Med. 2008; 10(4): 236–246. Rattan SI. Hormesis in aging. Ageing Res Rev. 2008 Jan;7(1):63-78. Menendez JA et al. Xenohormetic and anti-aging activity of secoiridoid polyphenols present in extra virgin olive oil. Cell Cycle 2013; 12(4)55-78. Pietsch K, Saul N, Chakrabarti S, Stürzenbaum SR, Menzel R, Steinberg CE. Hormetins, antioxidants and prooxidants: defining quercetin-, caffeic acid- and rosmarinic acid-mediated life extension in C. elegans. Biogerontology. 2011; 12(4):329-47.